As an older learner (NYC people are most likely to learn late due to the expansive ability to travel the expanse of the state without a car), I absolutely love Mr. Bruce's style. He is relaxed, he converses and instructs to make you feel like you are seasoned. His style has a way of making you feel like you can regain control over the vehicle especially when you make a mistake which would unnerve you! Please keep him for as long as you can, I will be seeking him again when it comes to more lessons, and I will be back here to let you know about me gaining my license because of his skillful, personable way. He is one of the Masters!!! My daughter just completed the driving course with Carolina Road driving School. Before the course, she was very nervous about driving. After a couple of lessons with Mr. Tripp, her confidence really improved. And the lessons were done while she was on spring break. Thank you Carolina Road Driving school! I have triple teen drivers and needed a higher level of help to make sure they are prepared for real world driving. Carolina Road Driving School offered a flexible schedule (we trained over Labor Day weekend) and sent out one of the best instructors on the subject I have ever had the pleasure to meet. He was patient, personable and connected immediately with each of the teens. Not only was I comfortable with him and the safety of my children, my teens could not wait for their next lesson. 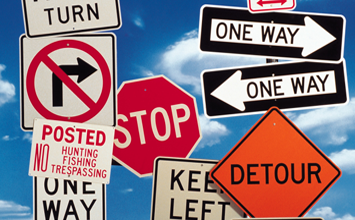 I highly recommend the Carolina Road Driving School if you are looking for a one-on-one experience that will train your teens the way a parent would. My kids are worth it. We were so pleased with Carolina road driving school. We used Jordan driving for our daughter last year and switched to Carolina for our son this year. What a difference. The driving instructor was so thorough and taught my son how to parallel park and do a three point turn. My daughter had never even heard of a three point turn let alone be taught how to do it. Carolina Road was much more thorough and organized. The instructor came right to our house and with Jordan driving we had to take her to them. We also had our class instruction and was called to drive within four weeks. I can not recommend them enough. Very professional and accommodating. I took a 2 hour driving lesson to prepare for my road test, and Mr. Boes was an excellent instructor. I would recommend Carolina Driving School. We are so pleased with the education and the instructor! My child loved the experience. My daughter's experience at the Kannapolis location was perfect from start to finish. Her instructor was amazing, from the personalized attention all the students received to the excellent education in the classroom and finally to the driving portion of the course. The course was completed so quickly and we were able schedule the driving times that were convenient for us. The people there are very helpful, accommodating and nice. This was a wonderfully easy, stress free and enjoyable experience that was worth every penny. WOW!!!! I have been extremely anxious about driving for various reasons. However, it was imperative that I learn since I am a caregiver for my mother. The first set of lessons, I could barely breathe and my anxiety got the best of me despite Mr. Tripps patience and confidence in my abilities. I signed up again and -----I am now driving. My Driving Instructor Was Mr.Tripp. I was referred to him by my older sister who successfully received her drivers license with him as her driving instructor. Mr .Tripp instilled in me the confidence and skill needed to be great driver. Within two weeks of lessons, I successfully received my drivers license! I would highly recommend this driving school,personally Mr. Tripp as an instructor for any beginner or anyone that wants to get back on the road. I enjoyed this experience so much! Thank you! See You On The Road! Woooooo! I took a few classes at Carolina Road Driving School. Mr. Boes was my tutor. I have not ever driven a car, but he was a perfect teacher with great attitude and manners. I recently passed my road test at DMV and would like to say "Thanks" for amazing service and reasonable prices for classes. I will recommend this school all my friends. Don’t wait to drive! Let’s get started now. 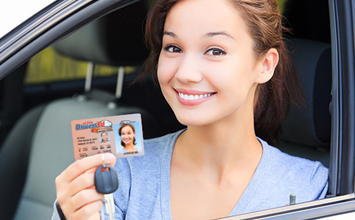 Be the first in your social circle to get your driver license. Carolina Road Driving School provides both the classroom phase and the behind the wheel phase of the Driver Education Program. Carolina Road has taught adults of all ages. We understand the needs of adults and have the patience to make this experience a fun learning environment. Our instructors have a calming effect on the students so they can achieve the skill level needed to be a safe and responsible driver. 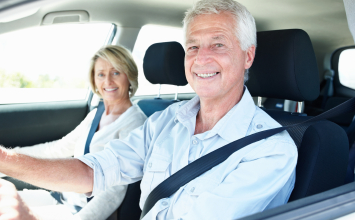 We offer defensive driving/driver improvement classes to adults who need a defensive driving class for any reason including traffic offenses or general interest and improved safety awareness. We offer classes on various days throughout the week. Join for special offers, free guides, and tools to learn to drive.